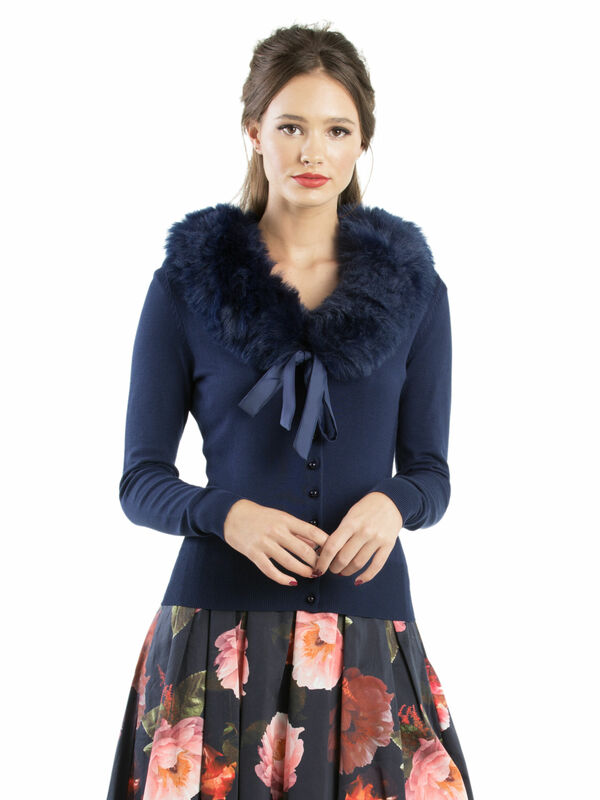 Foxy Lady Cardigan https://www.review-australia.com/global/foxy-lady-cardigan-navy/RE18KW105.RENVY001.html Oozing with Old Hollywood charm, the Foxy Lady Cardigan makes a stunning addition to your knitwear collection. 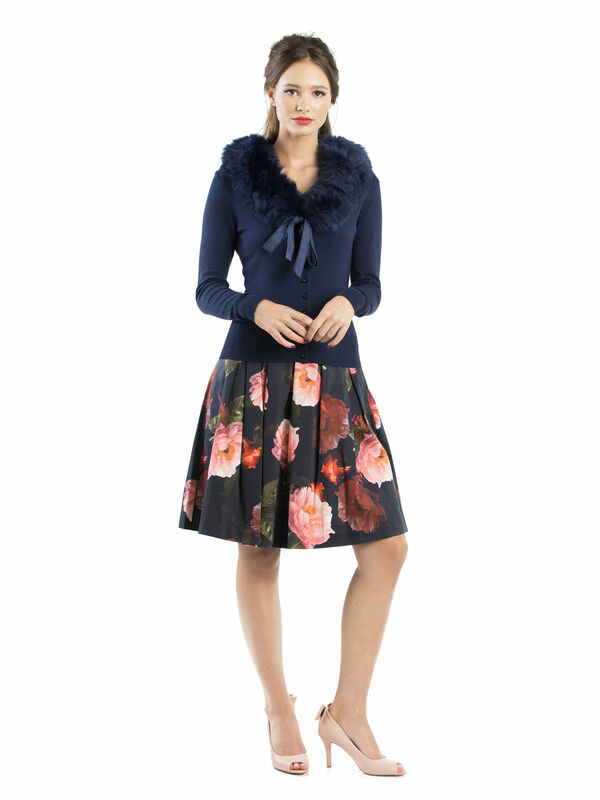 With a luxuriously soft handfeel, the regular fit button-down cardi has ribbed trims and a low v-neck amplified with a statement making faux fur shawl collar with a ribbon tie at the centre. Worn with Mystic Floral Dress and Beverley Heels. 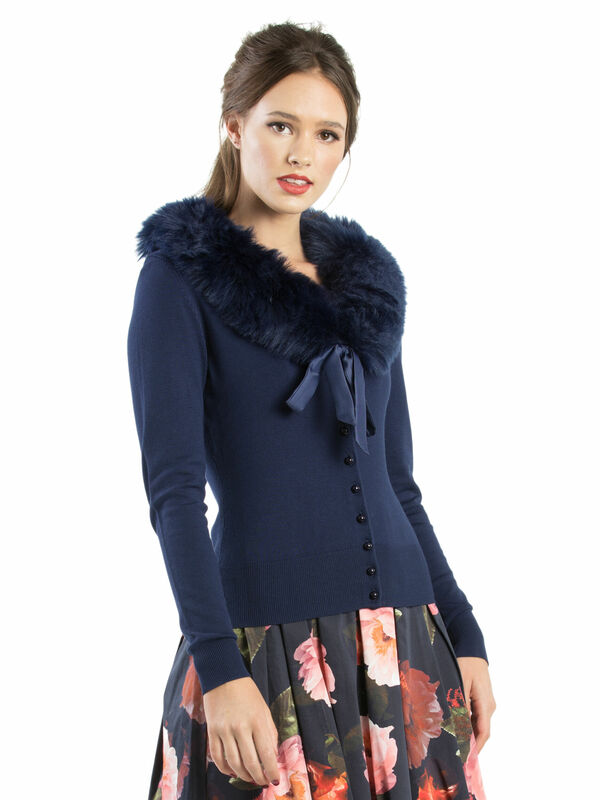 Oozing with Old Hollywood charm, the Foxy Lady Cardigan makes a stunning addition to your knitwear collection. With a luxuriously soft handfeel, the regular fit button-down cardi has ribbed trims and a low v-neck amplified with a statement making faux fur shawl collar with a ribbon tie at the centre.